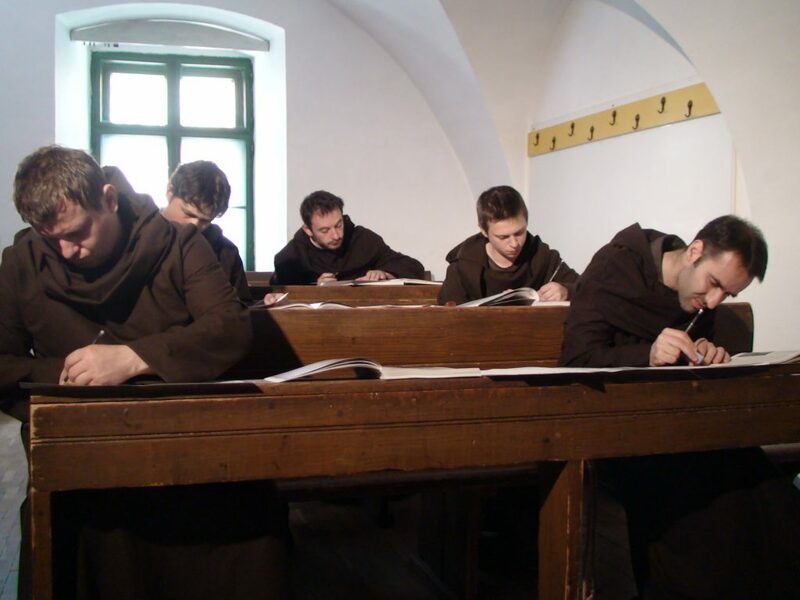 Ciprian Muresan, Untitled (Monks), 2011. Video. 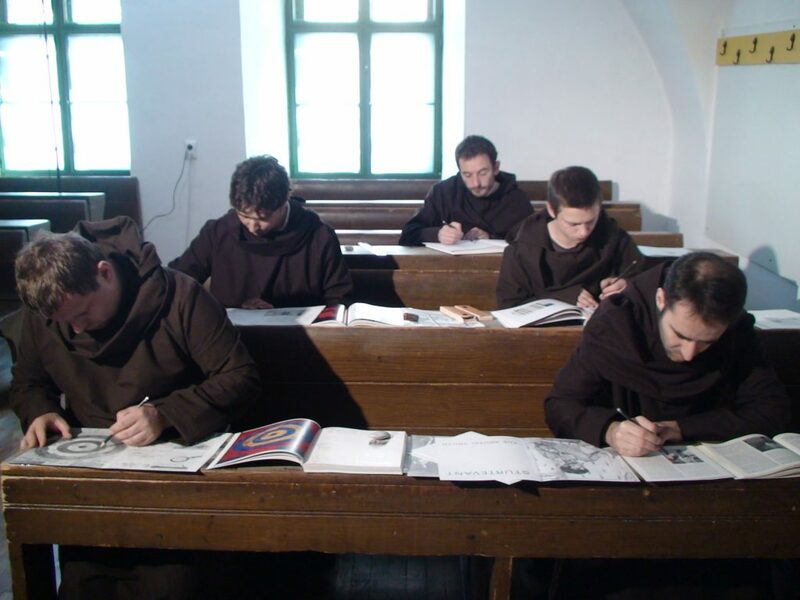 Ciprian Muresan asked a group of protagonists to wear a monk’s robe and copy a certain number of artworks and texts from exhibition catalogues. Here it is no longer the Bible that is reproduced but works by Malevich, Mondrian, Beuys, Duchamp. These artists represent a certain form of utopia in art and are themselves quasi-mythical figures. The fact that they are copying these works from a catalogue reproducing works by Elaine Sturtevant who in turn has appropriated work by other artists (mostly works made by men) creates an even greater distancing in the actions of these copying monks. The authenticity of the artist’s gesture defended by Modernism is rejected and recalls the status of the artist during the Communist era. This also considers this post-Communist era in which artists easily enter the economic system of the art market in today’s globalized world and proposes an ironic comment on the diffusion of images in this internet age. Rather like in the work by Mladen Stilinovic, this is acts as an interrogation on the loss of meaning of certain icons in Western art, a questioning of the negative and positive consequences of a meticulous repetition of the past.